We’re looking forward to that day as well! I LOVE the side by side comparisons! Now we’re talkin’ pregnant: round, hungry, and are you perhaps barefoot? Thank you! Ha, I would be barefoot except that we were running out the door for church! can’t wait to see the fabric you chose for the quilt! 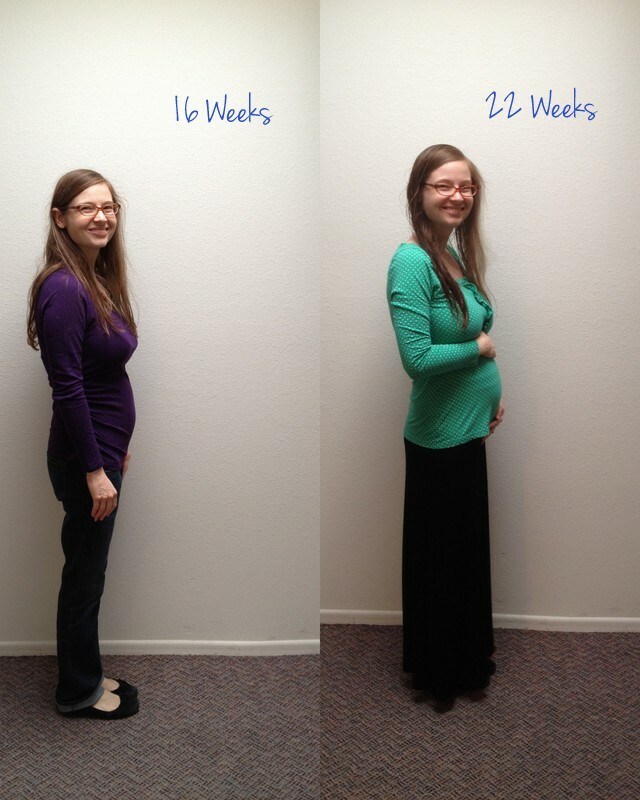 Look at you healthy with a baby bump and food is appetizing, what could possibly be better?? Big changes going on there! You are looking so beautifully pregnant!! I know what you mean! If I still had a mini fridge from college, I’d totally plug it in right next to my bed and stock it with yogurt and smoothies! Aww…your belly is so cute right now. I can’t wait to see pictures of the room and the quilt you’re making! I’m glad to hear it sounds like you’re feeling pretty good though…minus the hunger issues. Lol. I get like that even when I’m not pregnant! Haha. Thank you so much! I used to get that way too even before I was pregnant–I can definitely feel the blood sugar crashing! But this is something on a new level! I totally don’t mind it, though, as long as I am well enough to eat! Excited to share the quilt fabric as soon as I get it all cut!